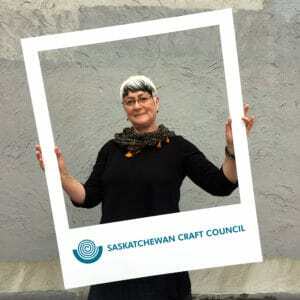 The staff of the Saskatchewan Craft Council are committed to providing our members with the highest possible level of support and service as, together, we pursue the aims of excellence in Craft in the province. 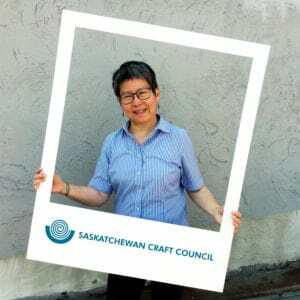 Carmen comes to the Saskatchewan Craft Council with a wealth of experience in both the Arts and the Business communities. She began as a Set Decorator/Art Director in Saskatchewan’s film industry, branching out to include production of documentary and educational programming. During her 25 year tenure with the film and television industry, Carmen served as President of SMPIA, and several positions in the Arts & Culture volunteer sector. She served as chairperson with the CTV Saskatchewan Program Development Fund for 10 years. Her experience includes artist management for Andrea Menard, Project and Event Management with Digital Innovation, and most recently, Vice-President of Operations, Business Development and Marketing for The Travel Gallery, a boutique travel agency in Regina. Carmen brings strong entrepreneurial skills to SCC coupled with a passion for art and culture. Alexa Hainsworth is from Saskatoon and has an MFA from the University of Saskatchewan. She is a textile and multi-media artist working in costume, sculpture and installation. Alexa’s artwork is inspired by movement, theatre, natural phenomena and biological processes. When she is not making art, Alexa loves dancing or relaxing with a cat. Alexa is very pleased to be supporting with the amazing Craftspeople of Saskatchewan and beyond. She is looking forward to meeting artists and seeing their practices develop in the years to come. Alexa believes strongly that Saskatchewan is the place to be for the Arts. Lesley has been working for the SCC since 2012, and has been a Boutique & Administration Coordinator since 2017. In addition to working at the SCC, Lesley teaches yoga classes to adults in their prime of life, from 50 to 80+ years. With a life-long passion for fibre, Lesley is also a knitter, hand-spinner, hand-weaver and felt maker. 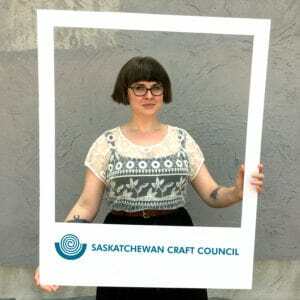 Being part of the Saskatchewan craft community is both inspiring and rewarding to her. Lesley is our Boutique & Administration Coordinator. She is responsible for the day-to-day operations of the SCC Fine Craft Boutique and many of the behind the scenes administrative tasks of the SCC. Kaitlyn was raised in Kamloops, where she was encouraged at a young age to explore the arts by her parents. She graduated from Thompson Rivers University with honors in Fine Arts in 2011. A year later she was granted acceptance to the Master of Fine Arts Program at the University of Saskatchewan. Kaitlyn recently graduated from the MFA program, specializing in Painting and Photography. She now calls Saskatoon her home with her husband and brother. Kaitlyn became a Gallery Assistant at the beginning of 2015, and started sharing the position of Boutique & Adminstration Coordinator with Lesley in 2019. She thoroughly enjoys her position at the gallery. Kaitlyn enjoys building relationships with her fellow co-workers and the members and artists of the SCC. 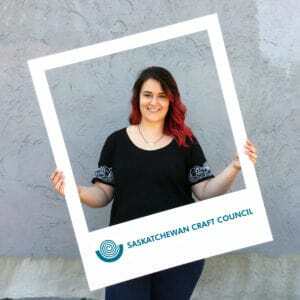 Saskatchewan has been an inspiring place for Kaitlyn and she looks forward to many more years with the Saskatchewan Craft Council! Steph is a graduate from the University of Saskatchewan with a BFA in studio art, with a focus on printmaking and sculpture. 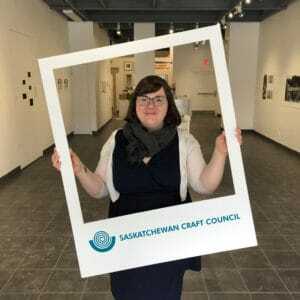 Steph has been working for the SCC since 2010, and has been an Exhibitions and Education Coordinator since 2011. In addition to working at the SCC, Steph enjoys printmaking and textiles. She creates sewn accessories, home decor, and soft sculptures from colourful cotton fabrics and wool felt. 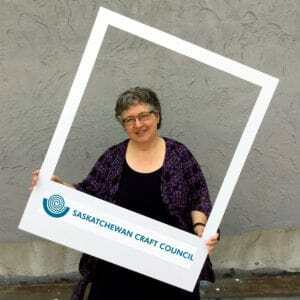 She finds great inspiration in Saskatchewan’s growing craft community. Steph and Maia job share the position of Exhibitions & Education Coordinator. They are responsible for educational programs and exhibitions in the SCC Gallery, as well as all touring shows including Dimensions. Maia Stark holds a Bachelor’s of Fine Arts and a Masters of Fine Arts. Since completing these academic pursuits, Maia has also participated in the CARFAC mentorship program, focusing on ceramics. She considers the appreciation and education on craft she has received working with the SCC as a large contribution to her expanding skill set and growing art practice. Maia and Stephanie job share the position of Exhibitions & Education Coordinator. They are responsible for educational programs and exhibitions in the SCC Gallery, as well as all touring shows including Dimensions. Vivian brings many years of design experience to the Communications & Publications Coordinator position. Her background includes work in advertising agencies, graphic design studios and daily newspapers in Montreal, Edmonton and Saskatoon. Some members may know Vivian from the many workshops she has attended: hot glass, fused glass, blacksmithing, welding and ceramics, to name a few. 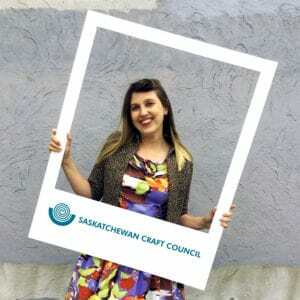 As Communications Assistant, Sydney maintains the SCC’s social media accounts (Facebook, Twitter, Instagram, YouTube, Pinterest), updates the SCC website, compiles both SCC e-newsletters: SaskCreate (for members) and Talking Craft (for the public), and takes on other various tasks around the office. Sydney completed her Bachelor’s Degree with a major in Sociology at the University of Saskatchewan in June 2014 and is currently working on a certificate in Digital Social Media from Edwards Executive Education. Sydney was previously the SCC’s Summer Student in 2011, and was the Gallery Assistant for 3.5 years after that. 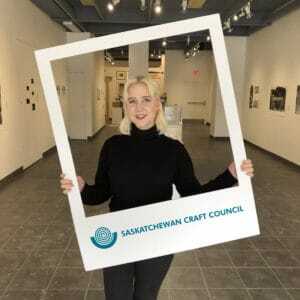 Although not a craftsperson or artist herself, Sydney loves being involved in the arts community in Saskatchewan! Leah obtained a Bachelor of Fine Arts degree from the University of Saskatchewan with a focus on painting and printmaking. She is primarily a figurative artist and continues to work in paint, mixed media and collage. Her recent works also include lino-cut printmaking. 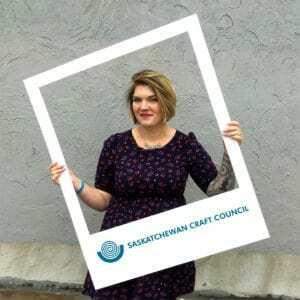 Aside from her work at the Craft Council, Leah teaches community art classes and has a passion for helping people discover their creative abilities. She also loves to create alongside her son, Royal. Emily M. Kohlert is a Saskatchewan-born freelancer who does graphic design, photography, illustration, videography, and screen printing. She worked as Visual Communications & Outreach Coordinator at artist-run production centre PAVED Arts, and worked as Lead Graphic Designer and Videographer at OpenSail Digital Agency for over two years. 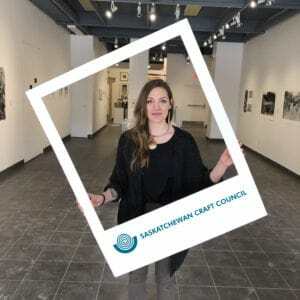 She holds a BFA in Studio Art with High Honours from the University of Saskatchewan, with focus on printmaking and photography. In her spare time she enjoys hosting a radio show on CFCR 90.5 FM Community Radio, watching films, and attending community art events and live music.